Do you want to lower your blood pressure without the harmful side effects of pharmaceuticals? The good news is that there are a number of safe, effective, and natural foods and nutrients that will help you do it. Over 60 million Americans have high blood pressure, including more than half (54%) of all Americans age 65 to 74 years old and nearly three quarters (72%) of all American blacks in the same age group. High blood pressure is a major risk factor for a heart attack or stroke. In fact, it is generally regarded as the most significant risk factor for a stroke. Several recent studies have shown that drinking fresh beet juice can lead to clinically meaningful reductions in blood pressure. For example, a study at the Baker IDI Heart and Diabetes Institute in Melbourne, Australia, found that drinking just 16 ounces of fresh beet juice a day significantly reduced blood pressure in healthy subjects. 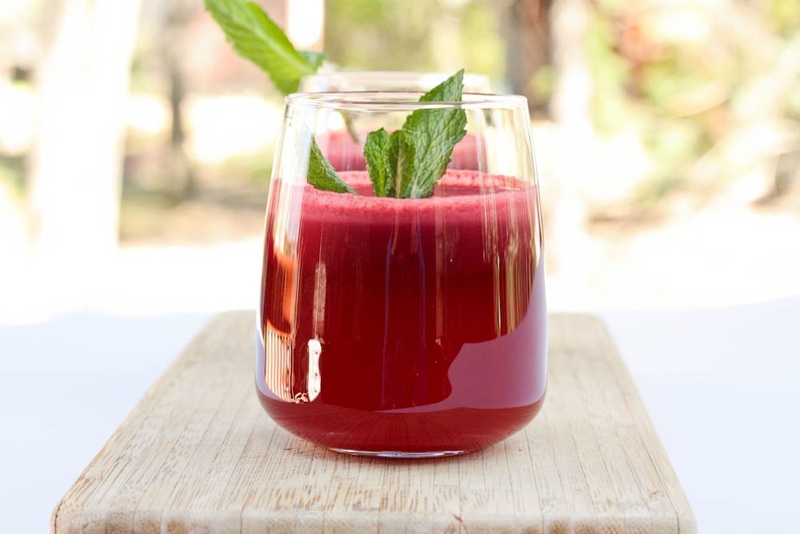 Beet juice lowered blood pressure within just an hour with a peak drop occurring 3 to 4 hours after ingestion. Why it works: The decrease in blood pressure is due to the chemical formation of nitrite from the dietary nitrates in the juice. Once in the general circulation, nitrite can be converted to nitric oxide (NO) by the cells that line blood vessels. NO is a powerful dilator of blood vessels, resulting in lower blood pressure. 2. Eat fresh, raw garlic. Garlic has a wide range of well-documented effects, including helping to lower blood pressure. Studies showing a positive effect of garlic and garlic preparations are those that deliver a sufficient dosage of allicin. In double-blind studies with garlic preparations providing a daily dose of at least 10 mg allicin, blood pressure readings dropped with typical reductions of 11 mm Hg for the systolic and 5.0 in the diastolic within a 1 to 3-month period. To get enough allicin, eat 1 to 4 cloves of fresh garlic a day. If you want to avoid garlic breath in public, add minced fresh garlic to your salad dressing in the evening at dinner. Why it works: All of the beneficial effects of garlic are attributed to its sulfur-containing compounds: allicin, diallyl disulfide, diallyl trisulfide, and others. Allicin is mainly responsible for the pungent odor of garlic. It is formed by the action of the enzyme alliinase on the compound alliin. The enzyme is activated by heat, oxygen, or water. This accounts for the fact that cooked garlic, odorless supplements, “aged garlic preparations,” and garlic oil products produce neither as strong an odor as raw garlic nor nearly as powerful medicinal effects as raw fresh garlic. An Australian study published in January 2012 in the Archives of Internal Medicine analyzed the effect of black tea on 95 men and women with normal to high-normal blood pressure levels. Half of the participants drank 3 cups of black tea daily for 6 months, and the other half drank a placebo drink with a similar flavor and caffeine content. At the end of the study, the black tea–drinking group had an average reduction of 2 to 3 points in their systolic (the top number in a blood pressure reading) level, and about two points in their diastolic (the bottom number) level. Although this doesn’t sound like much, the researchers said it’s enough to reduce the risk of heart disease and stroke by 7 to 10%. Why it works: It’s believed that black tea’s hypertension benefits may be due to the fact that the beverage improves the function of the endothelial cells that line the interior of blood vessels and affect blood pressure. Other research suggests that flavonoids in black tea can improve the tone of blood vessels, helping them channel blood more efficiently. A British analysis of 22 studies, published in February 2012 in the European Journal of Clinical Nutrition, found that taking at least 370 mg of magnesium per day reduced systolic blood pressure by 3-4 points and diastolic pressure by 2-3 points in 1,173 study subjects. This is key, because research shows many adults don’t get the recommended dietary allowance of at least 320 mg of magnesium for women and 420 mg for men, and that for every 100 mg increase in magnesium intake, the risk of stroke is reduced by about 9 percent. Why it works: Magnesium helps dilate blood vessels and prevents spasm in your heart muscle and blood vessel walls. It also dissolves blood clots. All of these aid optimal heart and blood vessel function and can help to lower blood pressure.